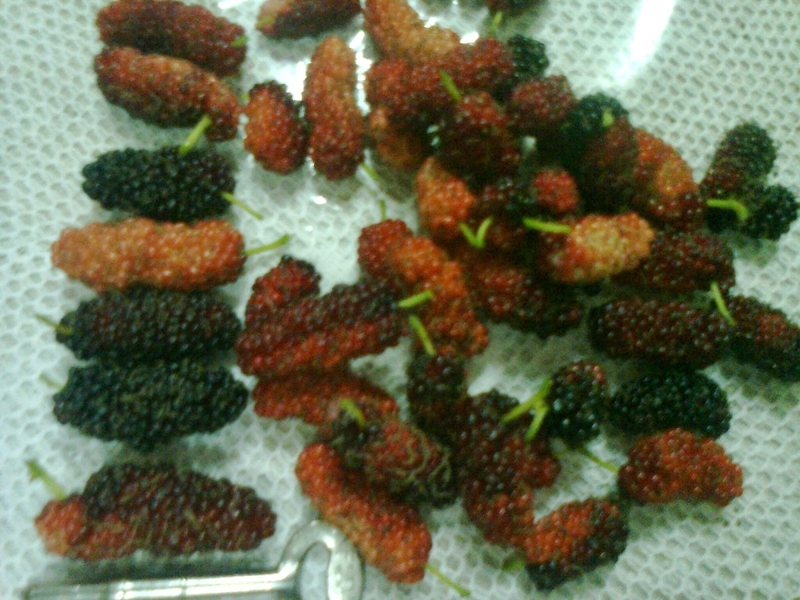 This item is for 6 inches - 5 unrooted cuttings of Red Mulberry tree. Easy to grow what you need is plant small branches in small pot with soil that combine equal quantities of sand and peat moss to form a rooting soil. Water the soil in the pots so it is moist but not soaked, it will grow. Transplant each cutting when the roots fill the small pot, to a 1 gallon grow-out pot filled with potting soil. Place the rooted cuttings outdoors to harden off in a well-lit area. Continue to water the cuttings. 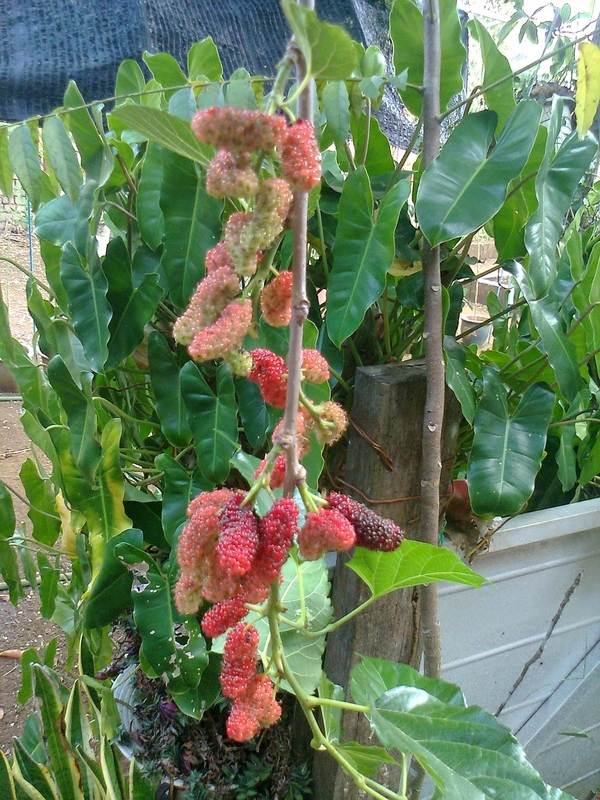 Transplant the mulberry saplings into a sunny area, protected from wind, when they reach 2 to 3 feet in height. Continue to water the saplings until they become well established. 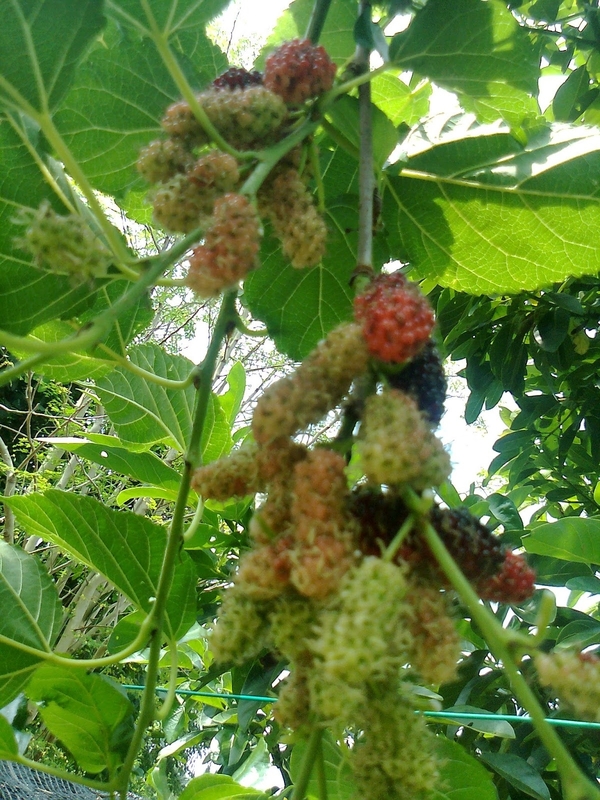 Mulberry is any of a group of ornamental trees and shrubs that have small, round sweet fruits known as drupes. The Berries are sweeet and very juice. Can be use to made juice, jem, ice cream, pie, muffin or eaten them fresh. 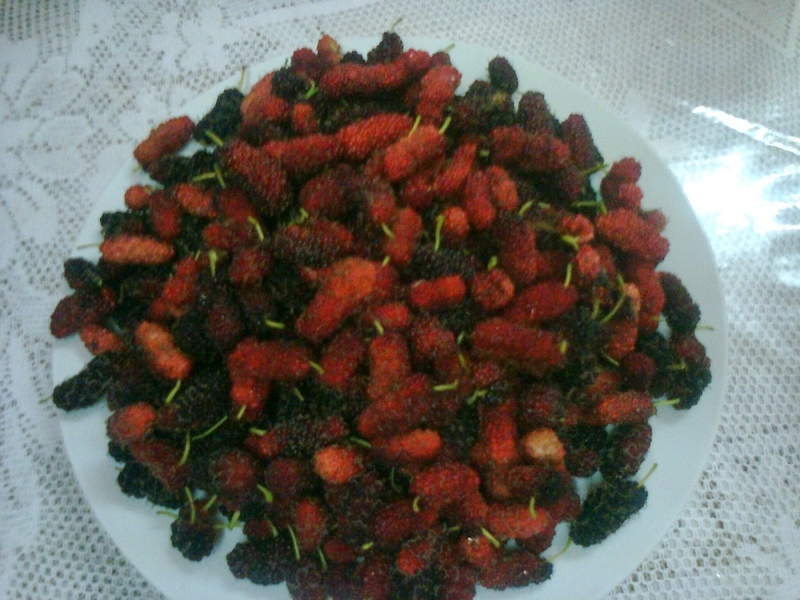 Mulberry contains protein, iron, calcium, vitamin K, C, A, B6 and E, fiber, potassium, niacin, riboflavin, folic acid, manganese, magnesium and antioxidants.